This adorable stud is compact and now settling his first females. 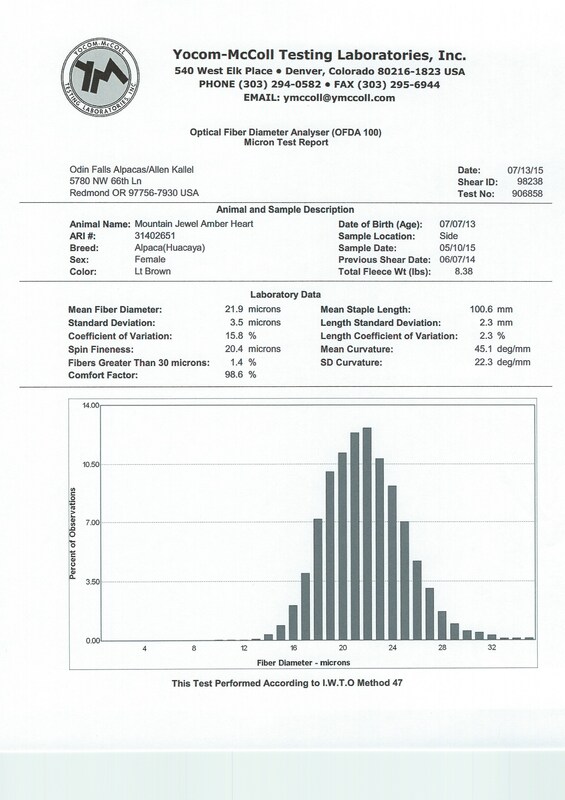 His fiber is soft, well structured with high frequency crimp and way above average density. His head is gorgeous and he has a calm agreeable personality. Amaretto has spot on conformation, is well balanced with heavy bone and a perfect bite. 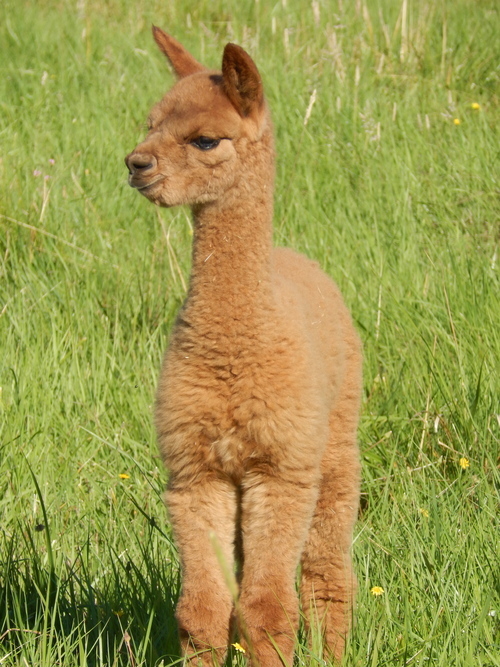 We're looking forward to having 4 cria from this handsome guy in 2013. 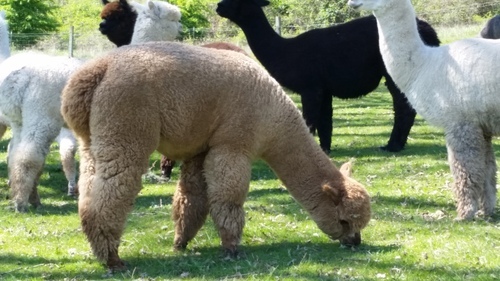 One of our best foundation females, 1/2 Accoyo, Cappy, is out of some of the best Alpacas of America lines, she's lovely and compact with very very dense with high frequency crimp structure, brightness and fineness of fiber. Her legs and frame are straight and strong. 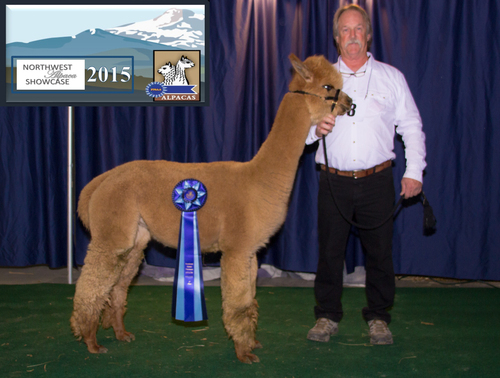 Her fleece possesses a low CV and SD. 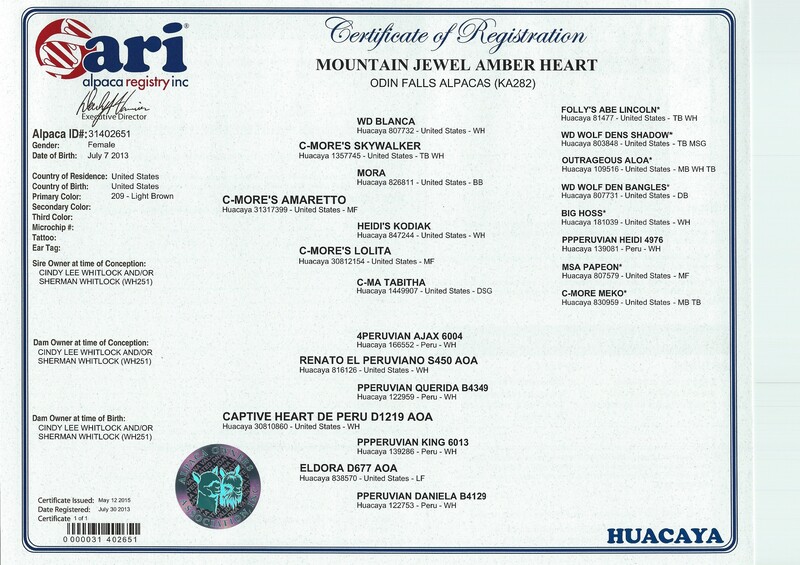 Her offspring are exceptional, each one of them express her wonderful temperament and excellent personality. 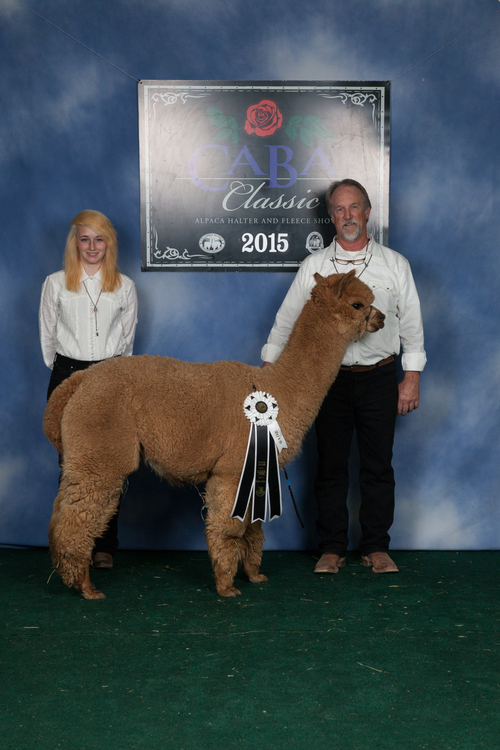 Cappy gave us yet another beautiful cria, with exceptional fleece in 2014, a white female out of Derwydd Luciano's Totora. We're giving her a rest this year after having birthed 5 cria for us in the last 5 years. Amber has a classy boxy style and one of the judges kept commenting on her "masculine" build saying "she should have been male, and she meant that in a good way". 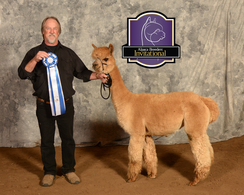 Amber has been bred to the "Judges Choice" and multi champion winner, Stoneberg's Peruvian Lt. Pete "Maverick" Mitchell, for a sure to be amazing 2016 cria. 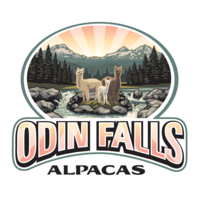 Update: on June 21, 2016 Amber had her first cria, a beautiful little boy, "Odin's Eagle". For her 2017 cria, Amber has to been bread to are own Accoyo Augustine.